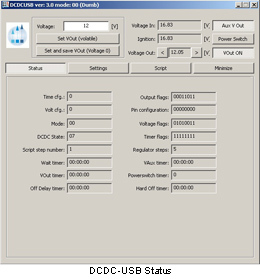 DCDC-USB is a high power buck-boost microcontroller DC-DC converter. 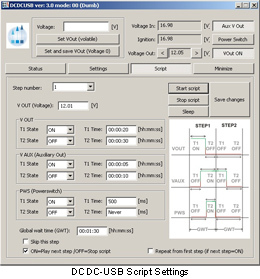 This unit accepts any input ranging from 6-34V. - All Solid Polymer Capacitors, SVPD series, Sanyo, Japan. 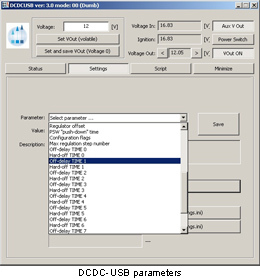 * NOTE: The advanced USB configuration software is intended only for OEM or Advanced Users. Mini-Box.com cannot be held responsible for any damage that might come from the use of this software done to your power supply or other computer components. 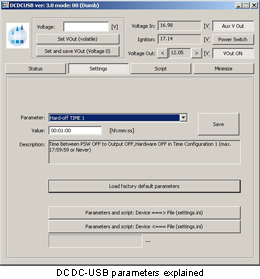 Application allows advanced setup of DCDC-USB parameters.